The National Park Service says the Cherry Blossoms peak bloom will be March 19-22. This weekend and next week will have temperatures in the mid-20s. The National Park Service says at 27 degrees, there is 10 percent bloom loss. At 24 degrees, there is 90 percent bloom loss. 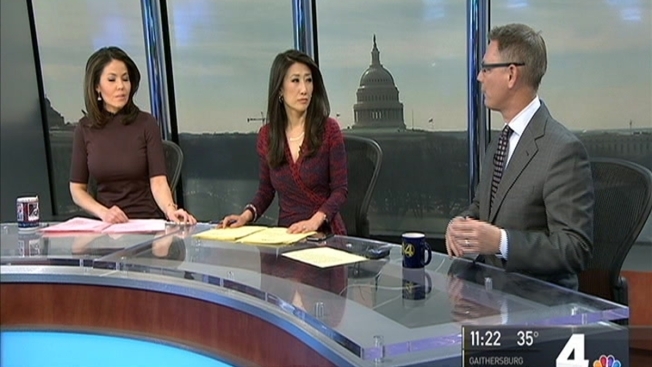 Go here for the latest on how the snowstorm and icy temperatures endanger Washington's cherry blossoms. A major nor'easter is expected to sweep up the East Coast, bringing with it snow, cold temperatures and high winds. That could be dangerous for Washington's beloved cherry blossoms. Low temperatures of 27 degrees would result in about a 10 percent loss of blossoms, National Park Service officials said. If the temperature drops to 24 degrees or colder, it could kill as much as 90 percent of the pink-petaled wonders. "If we were to have a situation where a majority or a significant number never reach peak bloom, that would be a first," National Park Service spokesman Mike Litterst said. D.C's beloved cherry blossoms started blooming early this year due to the warm winter -- but now the region is dealing with a cold spell and possibly snow, putting the blooms in jeopardy. News4's Megan Fitzgerald reports. The Park Service previously estimated that peak bloom would occur March 19-22. The cherry blossoms reach peak bloom when 70 percent of the trees along the Tidal Basin are in bloom. Many of the blossoms are now in stage 4 of 6, with stage 6 being their peak. The D.C. area is expected to get 4 to 8 inches of snow Monday night, and it will be even colder Thursday. Storm Team4's Tom Kierein said temperatures on Thursday may get dangerously close to the 24-degree threshold. Other outdoor plants also could be in danger. 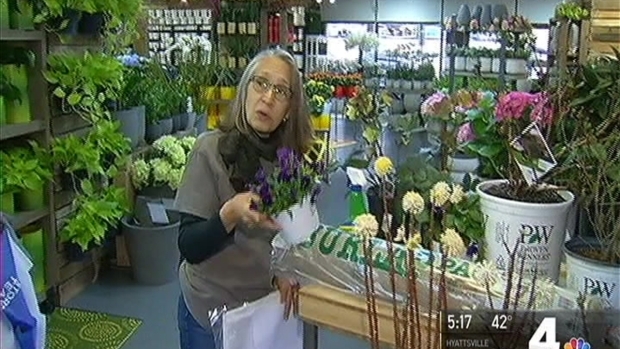 Susan Burke of Johnson's Florist & Garden Centers advised placing burlap or a thin bed sheet on flowers to protect them from the cold. The National Park Service said the cherry blossoms were holding their own Sunday thanks to higher than forecasted temperatures. We'll have to wait and see what this week has in store for them. The park service said we'll know more as the storm approaches.